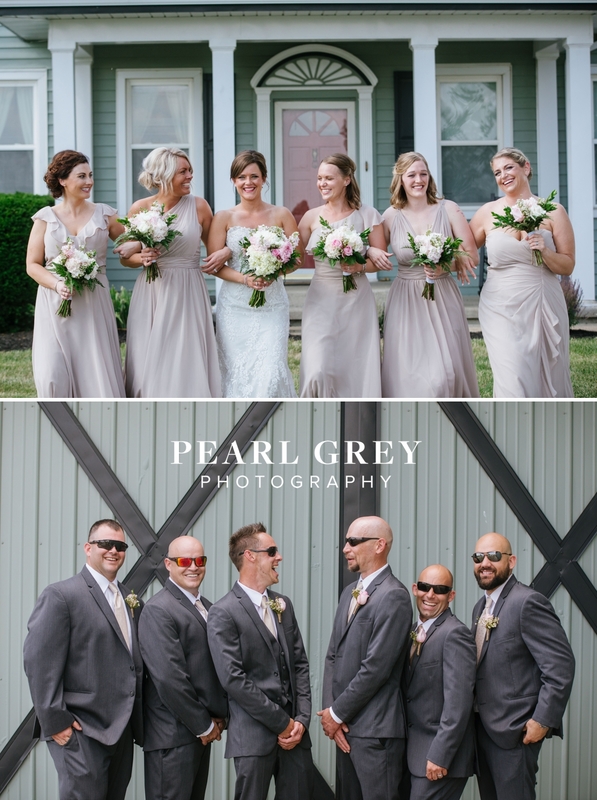 The official 2018 Pearl Grey wedding season got off to a HOT start with Matt and Nicole’s beautiful summer wedding at the Maple Lane Inn and Pavilion in Arcadia, Indiana. 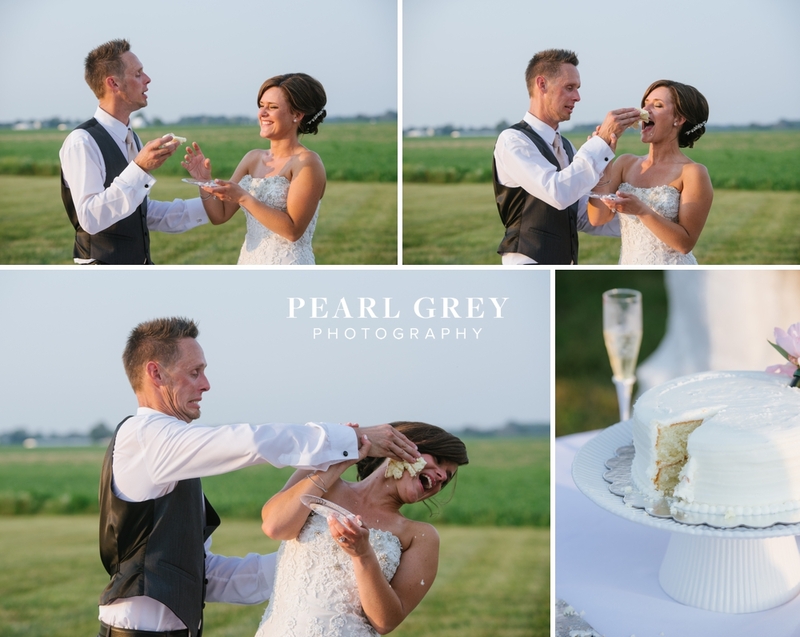 You just never know what kind of crazy weather Indiana will throw at you on your wedding day, but Nicole and Matt had an amazing wedding even in the midst of a heatwave! 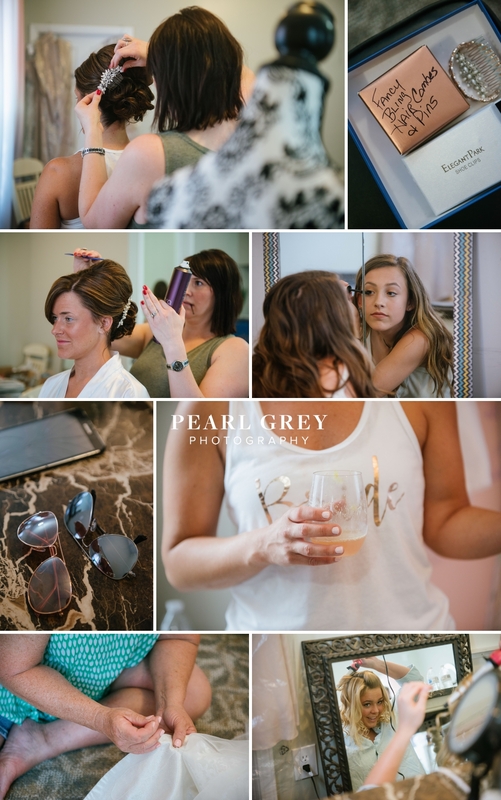 The day started out with the guys hanging out at the groom’s house while the girls perfected their hair and makeup in the bridal suite at the Maple Lane Inn. Once everybody was dressed, we headed outside to find a shady spot for some pre-ceremony photos. Before long, guests were arriving and beginning to take their seats. The bridal party lined up and filed into their spots along the outdoor alter as everyone waited for the bride to make her appearance. 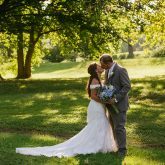 Nicole was escorted down the aisle by her father who gave her away graciously with a hug and kiss as she joined hands with her handsome groom. 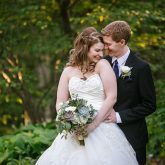 The two recited sweet, simple vows of commitment and sealed their love with a kiss. 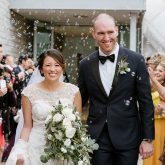 After a very long courtship, Matt and Nicole were finally husband and wife! Yay! As the ceremony ended, guests were dismissed to cocktail hour under the shade of the tent while I took the bride and groom out for some photos. 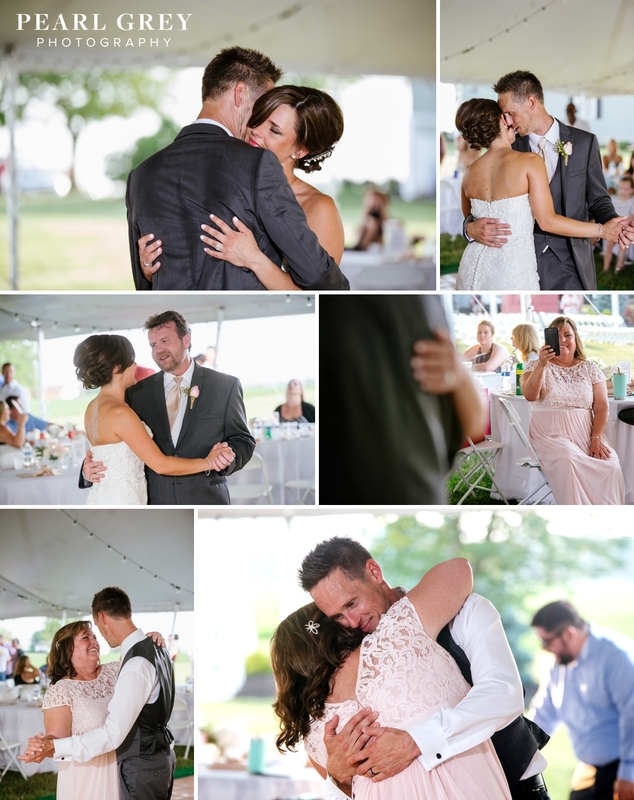 Once we were done, the bridal party was announced into the reception and the newlyweds had their first official dance as husband and wife. 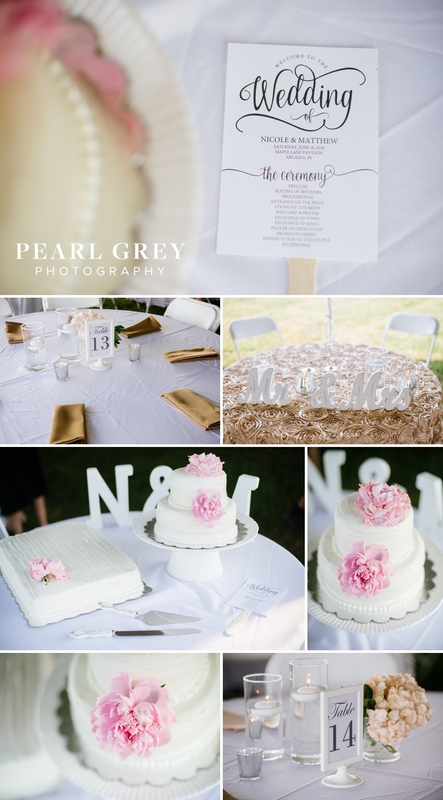 Dinner was served, followed by cake and then toasts from the matron of honor and best man. 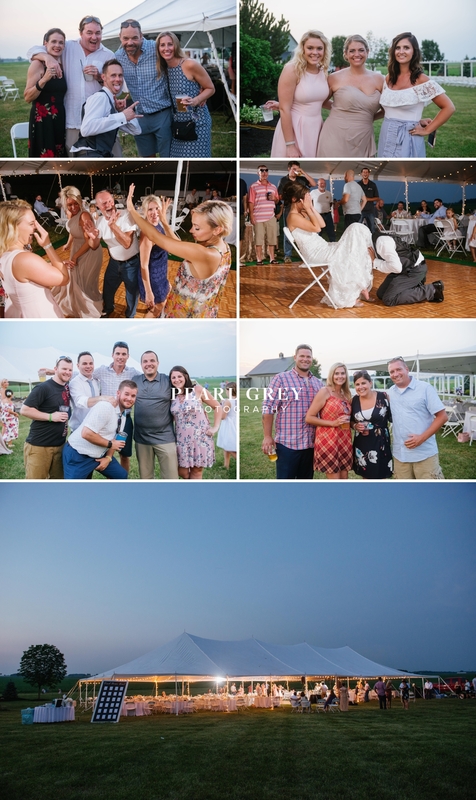 Afterwards, the DJ opened up the dance floor while guests mingled and enjoyed the open lawn space surrounding the Inn. It was a beautiful and relaxed outdoor evening! 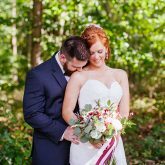 Matt and Nicole, I can’t thank you enough for asking me to capture your day. Congratulations on tying the knot and I wish you both a lifetime of happiness as you start this new chapter together! Email address is for identification only. We won’t send you emails and we won’t share your email address with anyone. 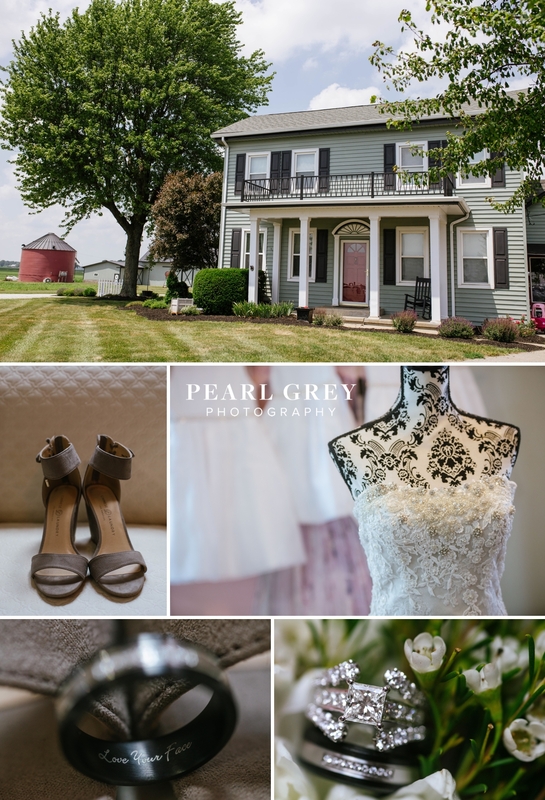 © 2019 Pearl Grey Photography. All rights reserved.